SPECIAL GIFT FOR DAD: Everybody deserves a medal! 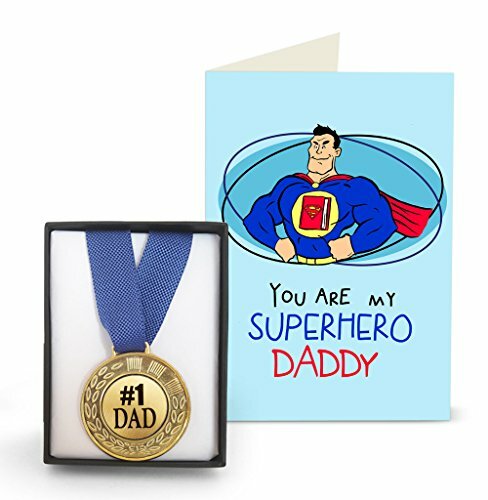 Celebrate all the things you love about dad with this highly personalised keepsake.A gift set of MEDAL & GREETING CARD.These personalised Father's Day keepsake decorations make an ideal personalised gift for dads old and new. A truly unique gift for any parent or grandparent particularly speical on Father's Day. THE 'AHHH' FACTOR: A design led greeting card from the TIED RIBBONS 'SPECIAL DAD' range.The quirky style of the font and well thought quotes and messages on the aesthetically pleasing backgrounds adds to the quality of this card. Each card is individually wrapped in a cello bag. DAD DESERVES A MEDAL:Tell dad that he is number 1,the topper and high station in life, with this personalised medal ! The celebrated no. 1 dad - be it for his genrosity,love & care or humbleness.It is a conglomeration of so many traits that makes him a TOP DAD. We believe people should tell each other more often how special they are - and this way, dad gets to wear this as a constant reminder! HUG HIM HARD: This Father's Day,it's time to get personal.Show him you really know him.Whether it's his first or fiftieth,remember to share a hug with him this Father's day.P.S. Growing up is overrated.Be a kid again and hug daddy hard.Afterall, there is none who loves you like he does!! 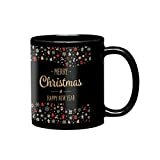 CUSTOMIZATION EXPERT: Not only do Tied Ribbons gifts make great keepsake presents, they are the perfect home decor accessory. From country cottages to contemporary homes, our classic timeless designs are always a focus point of the room and a great talking point with guests. We are able to provide customised cards and medals within very short lead time, please 'contact the seller' for more information.